Burlington End Table is a classic wrought iron end table that will work well for any interior. This table comes with a sturdy wrought iron base that has been hand forged to perfection by skilled artisans to ensure a long lasting piece that will grace your home for the years to come. This square end table will work with any available space and create a cozy nook with a lamp and a chair next to it. The solid wooden top is sturdy and visually appealing thanks to the Old World Pine finish, and adds to the classic grace of this table. You can also order this table with a square copper top or a glass top for a trendier look. You can also order this table with Red Marble-scolloped Edges. 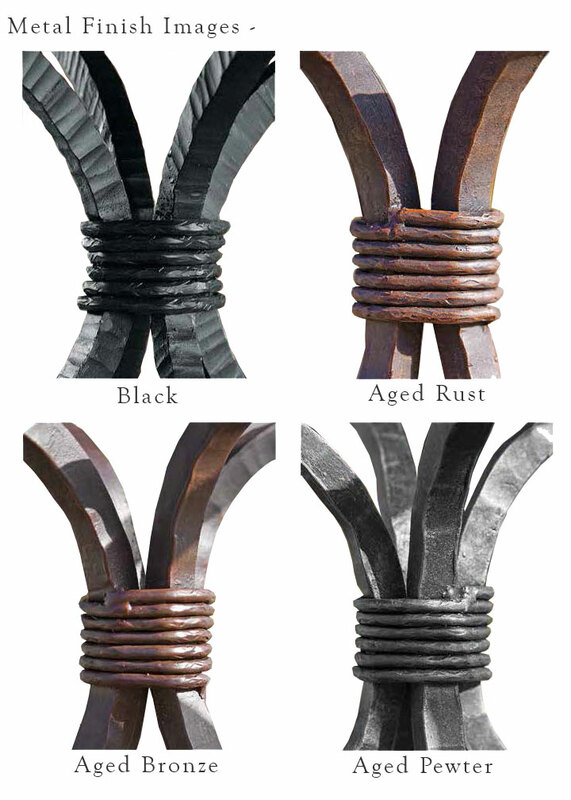 The base has been fashioned from pipe like legs and has an X-shaped support beneath the top. Classic matte black finish will work for any interior. 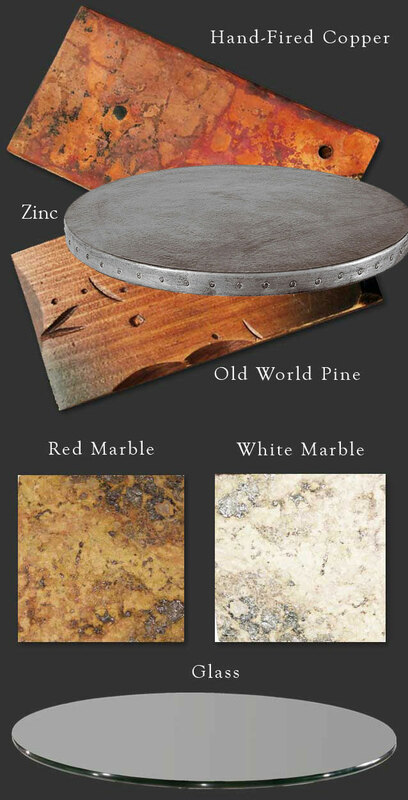 You can also opt for a different finish option like Aged Rust, Aged Bronze and Aged Pewter to match your interior. You can also order this lovely table as a base only and use it with an existing top. Iron Base: 20" x 20" x 24"